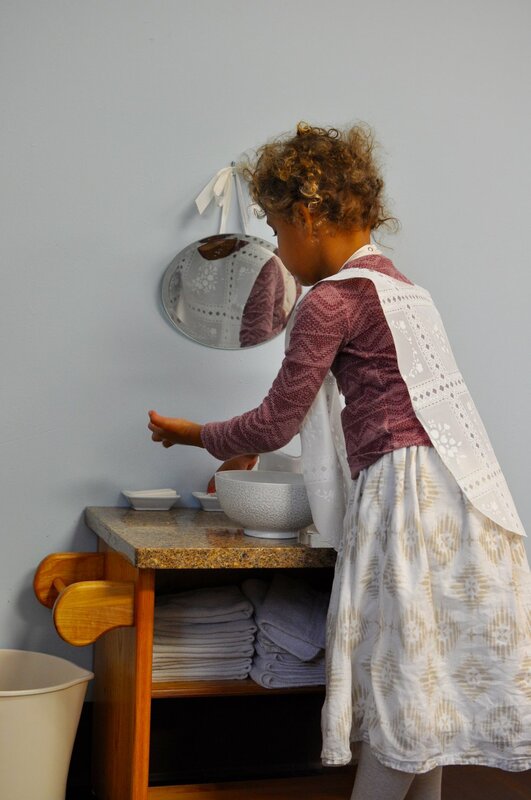 The hand-washing activity was born in the first Casa di Bambini and was introduced out of necessity. 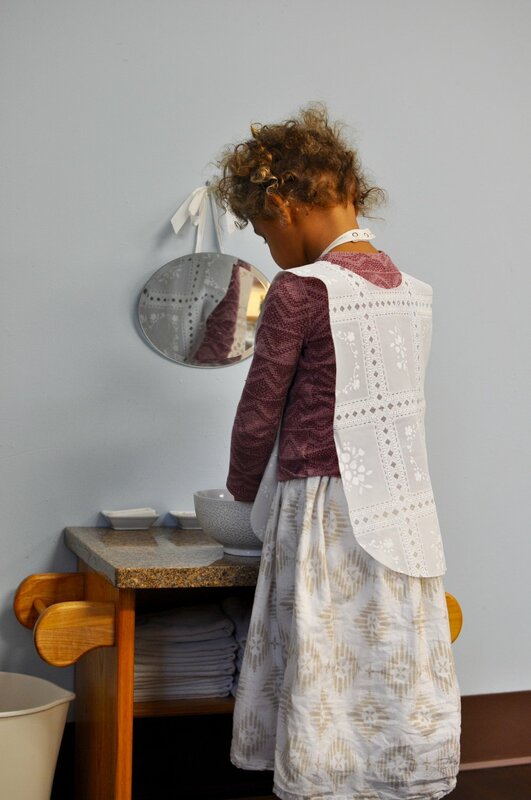 It was shown to elicit tremendous concentration, focus, and joy far beyond the point at which their hands were clean. 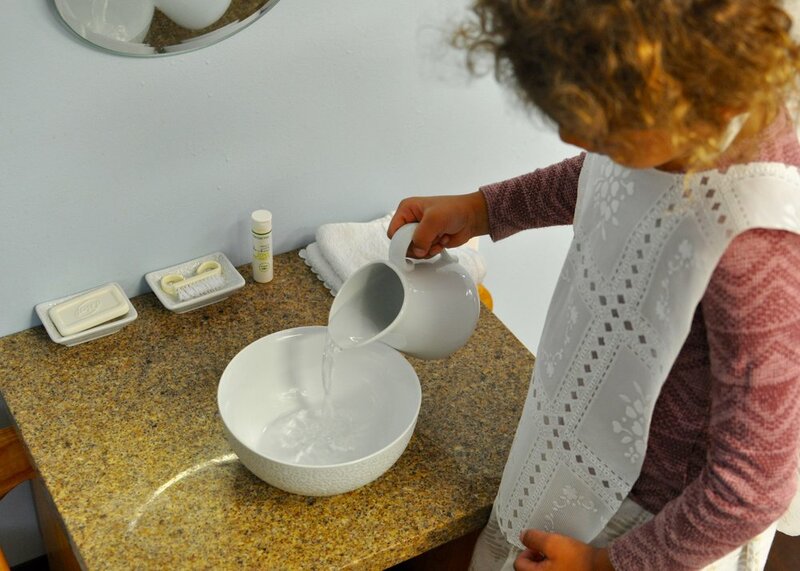 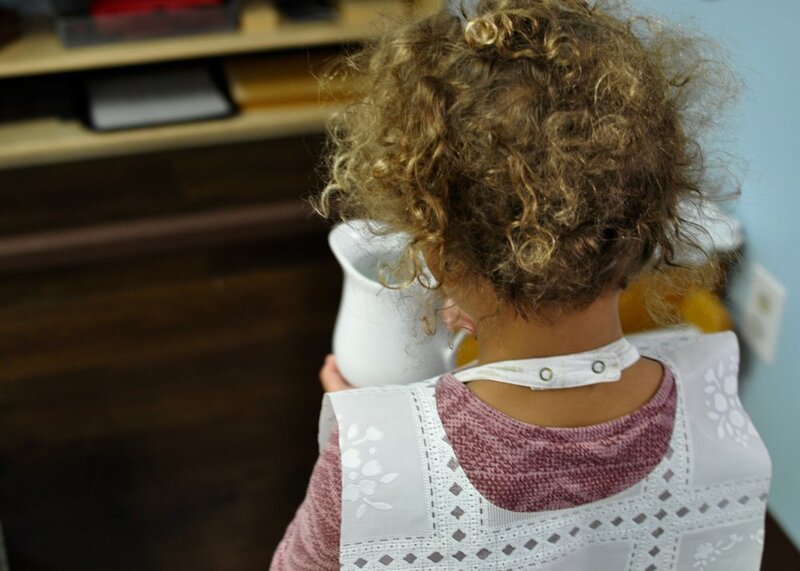 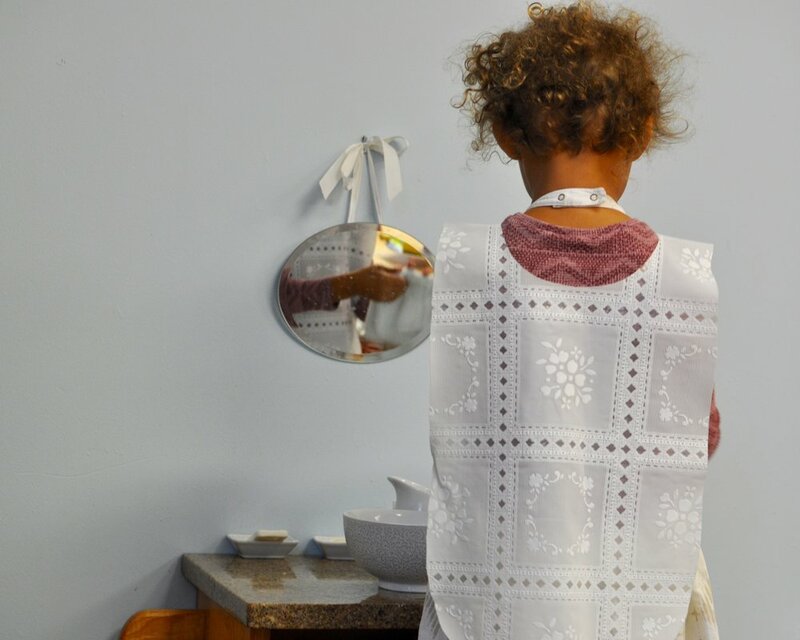 Maria Montessori, in her keen scientific observations, noted that something about this activity was satisfying an inner need of the young child. 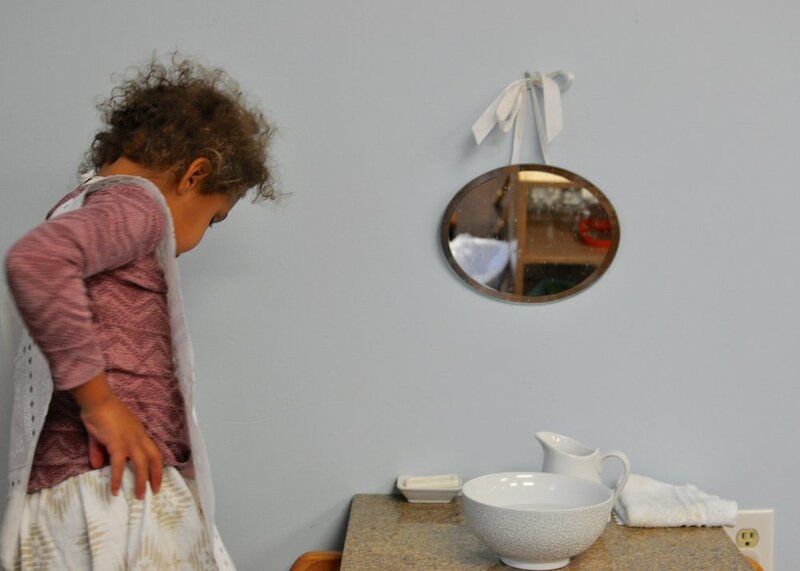 As with many things in the Montessori environment, there is so much more going on than initially meets the eye. 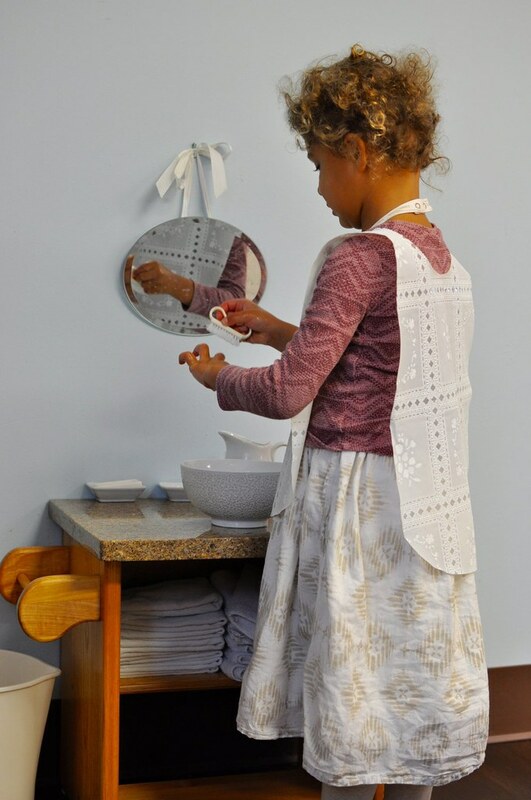 What beautiful, thoughtful work!